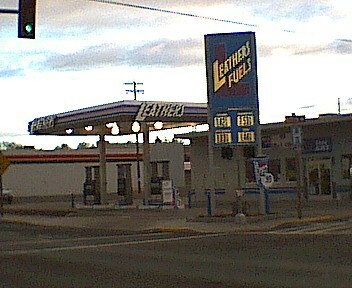 Leathers is an Oregon gasoline distributor, I think. saw this one in Madras, Oregon. Photo taken Nov. 2002 by Mark Elliott.